Caution in dealings with strangers is a trait that has proven useful to mankind for many thousands of years. Even in my childhood the initial position towards a stranger was distrust. If, by accent or appearance, the stranger seemed especially alien – someone from London, for example – the distrust was that much deeper. This feeling should not be confused with dislike or, even worse, hatred: a stranger asking for directions in my town would receive a polite, probably even cheerful response. A conversation at a bus stop: ditto. But for anything more there was always a reservation that would take its natural course before dissipating. Nor did this feeling have anything to do with race: I was around twenty before I even saw a non-white person face-to-face or spoke to them. The distrust was there on that occasion, but had nothing to do with race. It was much more fundamental than that. The stranger could be black, white or khaki – it made no difference. According to the Oxford English Dictionary, someone brought the word phobia from Greek into the English language in 1801. It meant a very strong fear of something. There was also a hint of the pathological about it. It is not just dislike. It is a rabid, irrationally extreme fear of something – hydrophobia (pun intended), or heights or spiders – that is strong enough to paralyse or cause flight. Phobia could also imply a hatred of something, but only as a fear-avoidance tactic. A little over a century later someone tacked xeno 'foreigner, stranger, alien etc.' on to the front of phobia to create xenophobia– a morbid, pathological fear of strangers or simply anything strange. There can be only very, very few people who suffer from this condition in its true pathological sense – society would cease to exist if the condition were widespread. Because of its limited application the word did not become common until the racism industry took it up and cranked up the volume on its meaning to encompass an attitudinal dislike or hatred of strangers. The word was instrumentalised as invective against anyone who was, in whatever way, 'anti-foreigner'. Thus, the initial distrust of strangers in my childhood would now be labelled xenophobia and be considered a 'hate crime'. Whereas English xenophobes and French xénophobes are labelled with a bit of cobbled together, pseudo-medical Greek, German speakers do have the adjective xenophob but prefer the home-brewed fremdenfeindlich, ausländerfeindlich, rassistisch– all synonyms for the same thing, according to Duden, proving that when it comes to pejorative labels, left-wingers don't have much use for nuance. Today's legally enforced default position seems to be a complete, unquestioning and unconditional acceptance of strangers. Anything less is hateful. This is completely irrational. The default position in respect of people you do not know and especially those from dramatically different cultures should be initial distrust. Why has this ancient idea become so hatefully radical? 'No fears of contact', the headline in the Pfalz-Express tells us. Opening day in the Max und Moritz 'place of encounters' in Kandel, Rheinland-Palatinate, 13.12.2015. Image: Pfalz-Express. Here is a happy photograph taken on 13 December 2015 at the reopening of the former pub Max und Moritz as a 'place of encounters' for the inhabitants of Kandel, a town in the Rhineland-Palatinate in south-west Germany. The rooms on the ground floor have been converted into a meeting centre, the rooms above into accommodation for refugees and asylum seekers. The place was open daily. The girls in the photograph are between 13 and 15 years old. The two gentlemen at the front are Ali (25) and his brother Rabaae (21) from Syria. Ali has been in Germany for a year and has acquired his residence permit, brother Rabaae has been there for three months and was still waiting for his. The 'place of encounters' in the former Max und Moritz pub was set up to combat 'rejection, xenophobia and racism' we are told. Between 60 and 70 people hang around there regularly. The church and the Women's Institute keep the place supplied with coffee, cake and biscuits. Four more customers at the opening of the Max und Moritz 'place of encounters' on 13 December 2015. Image: Pfalz-Express. There may be some xenophobes in places in Britain such as Rotherham or Blackburn or Oxford or… wherever, who feel queasy when they see this photograph of the 'place of encounters' set up and financed by the local 'Women's and Family Institute' and the Evangelical Church. They may feel as queasy as I do at the bodily proximity between the men and the girls in the photograph, or the fact that the photographer jumbled up a group of barely post pubertal girls with men in their mid-twenties for this shot. Anywhere else, a similar grouping with European men would be considered questionable, if not slightly creepy. The star refugees are even wearing name tags, facilitating hooking up. The queasy feeling turns out to be justified. 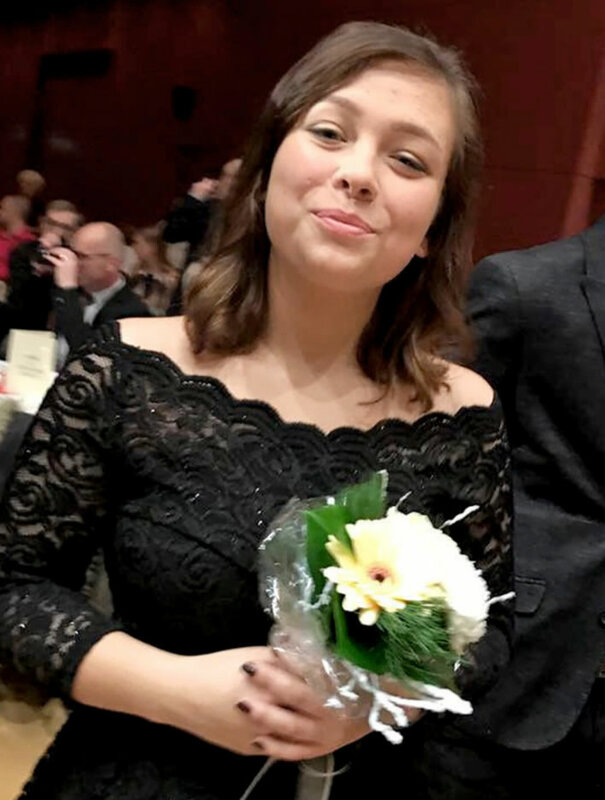 On Wednesday afternoon, 27 December 2017, in the pharmacy supermarket in Kandel, a 15 year-old girl, Mia Valentin, was stabbed multiple times with a 20 cm kitchen knife by an Afghan man, Abdul Mobin Dawoodzay. Abdul was reported at first as being also 15 years-old, but there are good grounds for scepticism on this point. Mia died in hospital shortly after the attack. The mortal blow was to her heart but some reports say that her face was slashed up too. 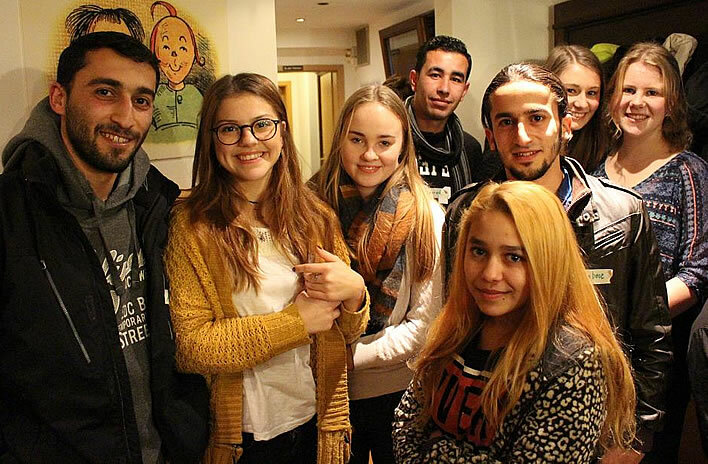 Mia's school in Kandel encourages its native German pupils to help asylum seekers to learn German and to do their homework. This may have been the start of Mia's relationship with Abdul or perhaps they met hanging around in the Max und Moritz. Mia's parents let Abdul into their home 'almost as a son', despite his very adult appearance. 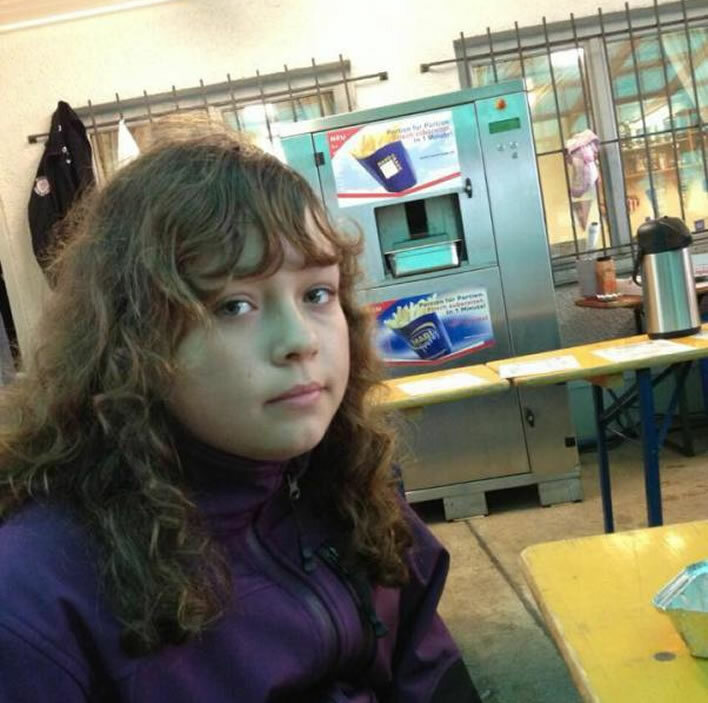 Her father is reported now as saying: 'He is never just 15 years old. We hope to find out his true age in this investigation'. Late learning! The police first reported the murder as 'an argument between two 15 year-olds'. Well, that's one way of putting it, seeing that they had given the attacker a stern ticking-off about his threats to the victim only a few hours before. A photograph alleged to be of the young Mia Valentin hanging around in the 'place of encounters'. Since the murder of Mia, the heads of those involved in this outreach project have ducked beneath the parapet. The website of the sponsors of the 'place of encounters' Kandel Initiative for Refugees has been taken down and the Max und Moritz itself is marked 'permanently closed'. The Pfalz-Express, which brought us the pictures of the opening of the centre almost two years ago, shut down its comment thread on that article on 31 December 2017 'because of too many illegal comments (among them insults, threats, calls for illegal acts such as bodily violence)'. One media outlet reproduced images from the inauguration of the Max und Moritz 'place of encounters', calling it the equivalent of the pimping of young girls, including the provision of a suitable centre for this purpose. The name itself Max und Moritz, the title of a legendary children's book, is one more misfortune. It is indeed hard to imagine any responsible parents wanting their young daughters to hang around a mainly male barracks, a 'place of encounters', helping the inmates with their German. Most German pupils have their afternoons free, so they have plenty of time to help young men with their needs. There is of course more to the murder of Mia Valentin than the Max und Moritz encounter centre. New parts of the tale are coming out on a daily basis. The murderer Abdul Dawoodzay is not saying anything to police, invoking his right to silence. 'Report day' at the school in Kandel where Abdul and Mia studied. The photo was taken in the car park of the Bienwaldhalle opposite to the school. Abdul Mobin Dawoodzay entered Germany as an unaccompanied asylum seeker on April 2016. He had no documents and gave his birthdate as 01.01.2002. Happy 16th birthday, Abdul! Abdul Mobin Dawoodzay photographed in the Bismarckstrasse in Karlsruhe in the early part of 2016. In the following month he was assigned to the district of Germersheim, where Kandel is situated. 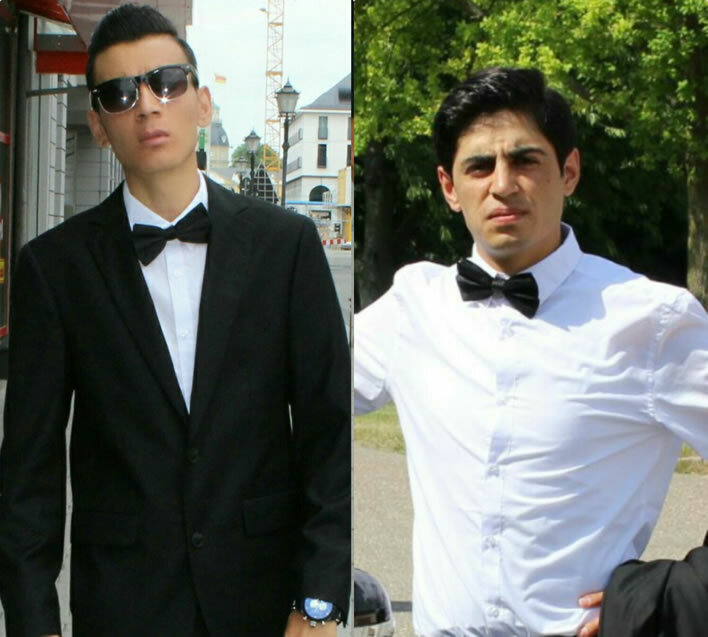 After a brief interim stop he was housed with a group of three other young male asylum seekers in a residence in Neustadt, 35 km from Kandel, under the supervision of two female minders (Betreuerinnen). His affairs were also looked after by a legal guardian (Vormund) in the Juvenile Department of the local council. Abdul's application for asylum was turned down in February 2017 but he did not qualify for repatriation, presumably because he was still a minor. The investigations to establish his true age are still continuing. 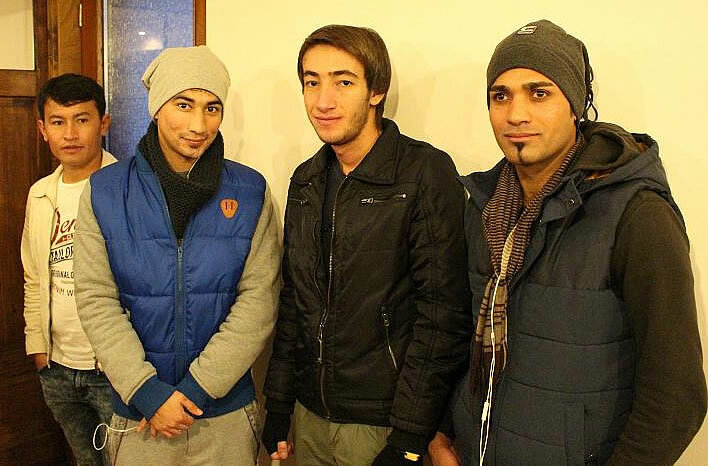 Although officially designated as 'unaccompanied' Abdul Mobin Dawoodzay seems to have entered Germany at the same time as his elder brother Abdul Madin Dawoodzay (left). Some accounts say Abdul Madin is his cousin. It appears that Mia dumped him at the beginning of December. But Abdul wasn't to be dumped so easily. We now know that on Friday 15 December last year Mia lodged a complaint with the the police alleging harrassment, threats and slander by Abdul. To be perfectly accurate, it seems that Mia made an initial complaint and this was followed on 17 December by a further complaint made by her father. In the latter, Abdul had threatened to 'wait for the moment when he would sort her out' (abpassen) on Kandel train station and told her that she should 'watch out' (aufpassen). Twelve days later Mia was stabbed to death. During those twelve days the tragedy took its course. The details of this time are currently buried under a growing pile of bureaucratic buck-passing. They will eventually come out, but all we can do at the moment is follow in outline the main events on the path to Mia's murder. Abdul already had criminal form with the police. On 27 November he had attacked and injured a fellow pupil, which led to a complaint to the police by the victim. Abdul had told the youth on several occasions that he should keep away from Mia. When the victim pointed out that he attended certain lessons together with Mia and so could hardly avoid her Abdul hit him in the face and smashed his glasses. The police also knew that Abdul had been circulating offensive images of Mia on social media. By the time of Mia's complaint, if they had not known it already, the police now presumably knew full well what they were dealing with. We are left wondering, given that the police already knew so much about the case before Mia's death, why they should report the incident as 'an argument between two 15 year-olds'. On Monday afternoon, 18 December, the police told Abdul's guardian in a phone call of the official complaints that had been made against Abdul. The guardian says it was just that: a notification that complaints had been made against Abdul; the police say they gave him chapter and verse of the threats against Mia. I think we have to have some sympathy for the guardian, who probably had a heavy case-load. Up to the end of November 2017 there were 55,600 unacccompanied asylum seekers being looked after by the Youth Services. What the police expected the guardian to do about this thug is not clear. 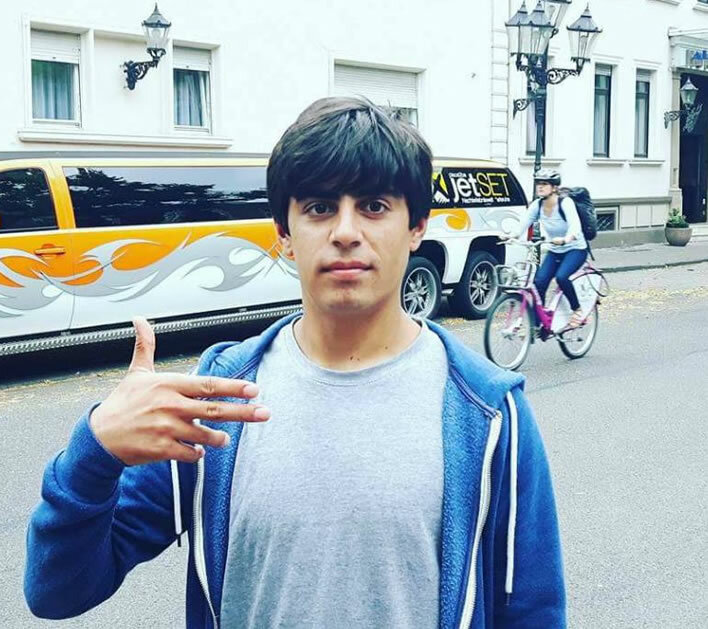 That Monday lunchtime the police were tipped off by the school authorities in Kandel that Abdul was hanging around the school. Two policemen went to the school to talk to him. They found him there in the presence of the two female 'carers', the ones who looked after him and the other three boys in the group accommodation in Neustadt. The mystery of what these two females were doing hanging around school with him has not yet been solved. In their presence the police informed him of the complaints made against him, told him that he would receive a summons to present himself for interview at the police station. His mobile phone was taken off him. It is clear that from that moment on his two female minders and by proxy the social services knew exactly how dangerous Abdul was. The day after, 19 December, the police had another telephone conversation with Abdul's guardian; according to them they raised all the issues concerning the allegations against him and the fact that his phone had been taken off him. Once again, what they expected the guardian to do is unknown. Another photograph of Abdul Mobin Dawoodzay on 'Report day' at the school in Kandel. We don't know yet what happened in the next eight days before he murdered Mia. We do know that Abdul was repeatedly invited to go to the police station and respond to the allegations hanging over him. He ignored them all. 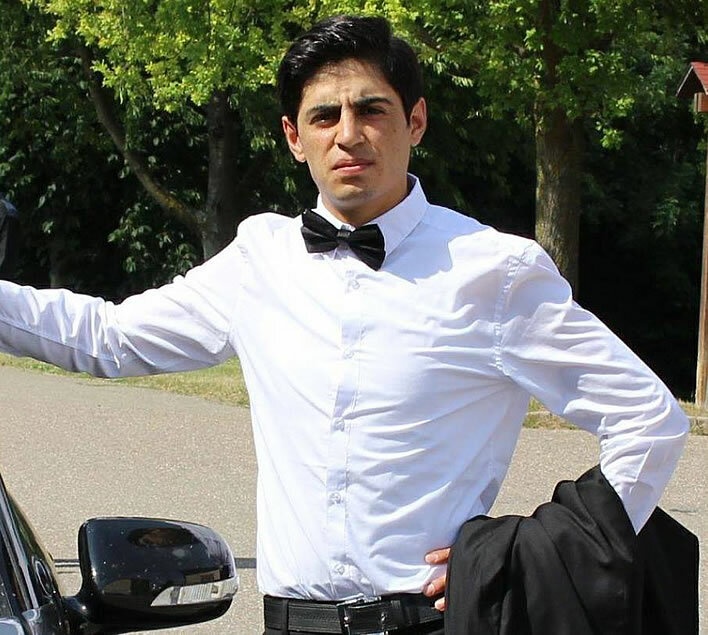 Finally, the police caught up with him in Kandel and handed him the summons in person on the morning of the day of the murder. What this was supposed to achieve beyond simple bureaucratic rule-following is unclear. A large part of the legal system of advanced western countries assumes that the accused will comply with basic instructions. When this is not the case, just going through the motions of repeating the instructions again and again achieves nothing. Whatever action was taken, it was not enough to save Mia. But all the old caution is often thrown away in the interests of being onanistically 'good'. Mia was a child of 15, considered by society as unfit to drink, vote, drive a car or serve in the army. The do-gooders in the school encouraged her and her schoolfellows to abandon natural caution. Her parents allowed, encouraged and perhaps even conspired in her activities. They have tragically lost a daughter, but through their own simple-mindedness or perhaps a fear of being called xenophobes. Let's hope it causes other parents involved in such outreach to think again. The do-gooders in the church, the Women's Institute and the left-wing authorities in Kandel set up with their idiotic, unsupervised 'place of encounters' something that really is difficult to distinguish from a brothel staffed by underage schoolgirls. The only real distinctions are that they charge in a brothel and don't give you free coffee and cake (so I'm told). Soft, syrupy, credulous and unquestioning encounters with strangers are not Christian virtues. Caution, reserve, scepticism and the guardianship of the young are not un-Christian vices. Except that these days they are. You may lose your job, be fined or even end up in prison for saying otherwise, so don't get too upset about Mia, she's just the collateral damage from the greatest, craziest and most reprehensible social engineering experiment of our time. On 16 January 2018 the state prosecutors revised the chain of events immediately before Mia's killing. It now appears that Abdul and Mia (with two friends) met up at the railway station. Abdul followed them to the supermarket, where he bought the knife he used to kill Mia. He then followed Mia to the pharmacy market where he attacked her without any warning. There was no argument. The preparation of the attack and its premeditated and cold execution will make the charge murder. The initial suspicions about Abdul's true age have proved justified. On 20 January 2018 we were told that the medical examination of the '15 year-old' has led to the conclusion that he is probably 20 years old, with a minimum possible age of 17.5 years. The prosecutors accept that he has not yet reached 21 years old and is not a full adult, but should be considered to be a 'young adult'. How this age assessment will affect whatever sentence he might receive is still debatable. 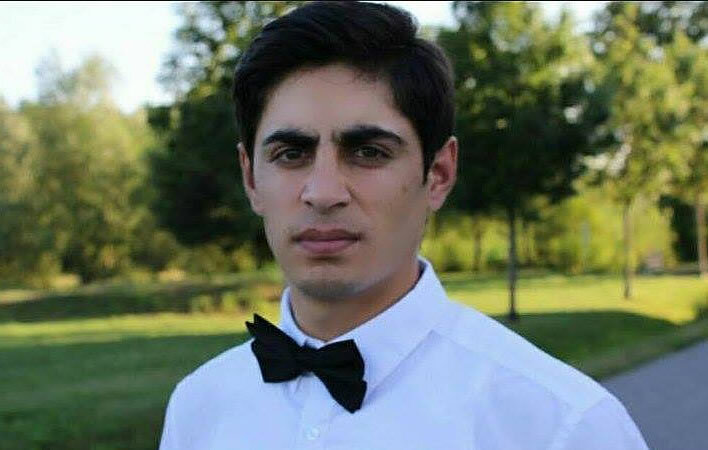 On 3 September Abdul Mobin Dawoodzay was sentenced to eight years and six months in prison for the murder of fifteen-year-old Mia Valentin in Kandel. His age could not be determined with certainty: he was given the benefit of the doubt and sentenced as a young offender. A further consequence of treating him as a juvenile is that his trial was held in secret. There have been reports that the accused was anything but a quiet participant – two of his minders were apparently injured in a scuffle – but there is no confirmation of this. According to juvenile law he could have received a sentence of up to 10 years, 15 years in exceptional circumstances. For reasons we shall never know because of the secret procedings, slicing up a 15-year-old girl with a breadknife in a premeditated attack leaving her dead on the spot does not deserve the maximum sentence. The prosecution had asked for ten years for murder, the defence seven and a half for manslaughter, on the basis that he now 'regretted his actions'. This leads to the application of that venerable principle in German trial procedure: split the difference. The court chose 'manslaughter'. The prosecution has already launched an appeal. If the sentence stands and Dawoodzay behaves himself in youth prison he will be completely released after four years and three months and probably be eligible for day-release some time before that.